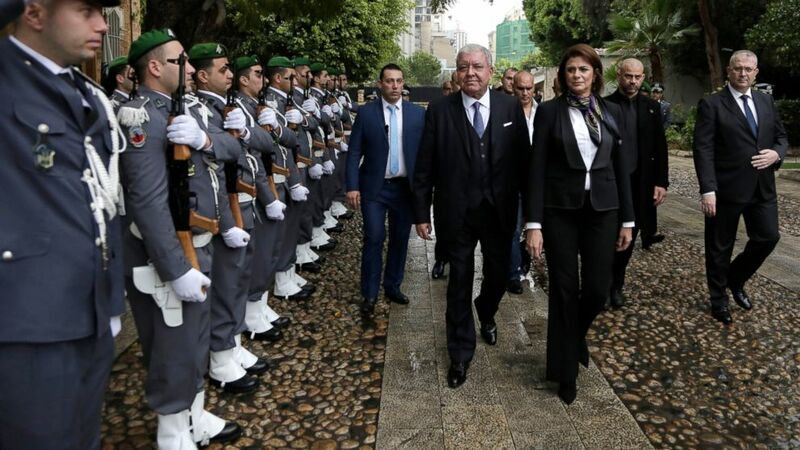 Lebanon's new interior minister assumed her post Wednesday, becoming her country's and the Arab world's first female official in charge of powerful security agencies. Raya El Hassan welcomed the challenge, saying Lebanese Prime Minister Saad Hariri put his trust in her and gave her "this big responsibility." "As the first female minister of interior, I have to prove the woman's ability to assume an exceptional portfolio," she said at the handover ceremony from her predecessor who had been in the post for five years. El Hassan, who holds a Masters' degree from George Washington University and is a member of Hariri's Future Movement Party, is one of four women in the 30-member Cabinet — a record for female political representation in Lebanon. El Hassan is used to headlines. She chaired one of Lebanon's major private public partnerships designed to develop the port city of Tripoli and in 2009, she became the first Arab woman finance minister — a post she kept for two years. As interior minister, she will be in charge of multiple, often competing security agencies, and of maintaining stability in a country that has grappled with militant groups and limited spillover from the war in neighboring Syria. El Hassan said her priorities are to improve cooperation between agencies, uphold human rights and improve Lebanon's notorious traffic problems. She said she would prioritize improving conditions in prisons and ensure domestic violence doesn't go unreported. "I will seek to have my own very special touch," building on the work done before me, she added. Lebanon has been making an effort to improve representation of women in politics. In last year's parliamentary election, the first in nine years, six women were elected to the 128-seat parliament, up from four in the previous chamber. Hariri's party also named Violette Safadi as state minister and she successfully campaigned to promptly rename her post from the ministry from women's affairs to ministry for "women and youth empowerment." The post was previously held by a man. Nada Bustani, named energy and water minister, tweeted on Tuesday: "A big part of the national economic plans is the responsibility of this ministry and we hope we are up to it."